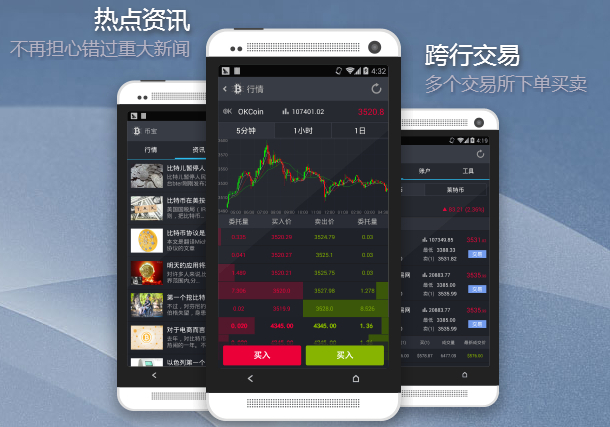 Bihang, a China-based digital currency application developer, launched today Bibao for Android, a mobile app for Bitcoin or Litecoin exchanges. watch exchange rates of Bitcoin or Litecoin on major Chinese virtual currency exchanges and historical charts. trade with any of those exchanges within the app — Bibao doesn’t, at least so far, charge transaction-based fees. check your balance (in both BTC and CNY) and trading record. set up and receive price alerts. read news about Bitcoin/Litecoin across the Chinese Web. Before Bibao, the startup developed a Bitcoin wallet. There have been many exchanges for Bitcoin and other newly emerged digital currencies in China, while Bihang is one of the few developing applications on top of them. Bihang was co-founded in 2013 by Changhao Jiang, former research scientist at Facebook, and Hao Wang who used to work at Goldman Sachs on transactional technologies. Prior to the founding of Bihang, the two were building their own startups separately, with Mr. Jiang working on an online-to-offline service while Mr. Wang on mobile health app. Thanks to their matchmaker, Feng Li, a partner at IDG Capital Partners who has led investments in Bitcoin starups like Coinbase and Chinese financial startups like Wacai, the two ended up building a startup together. IDG, of course, has invested in Bihang. And the startup is of the latest batch of Microsoft Accelerator China.